You are SO ready for Halloween. . . Excellent mood. 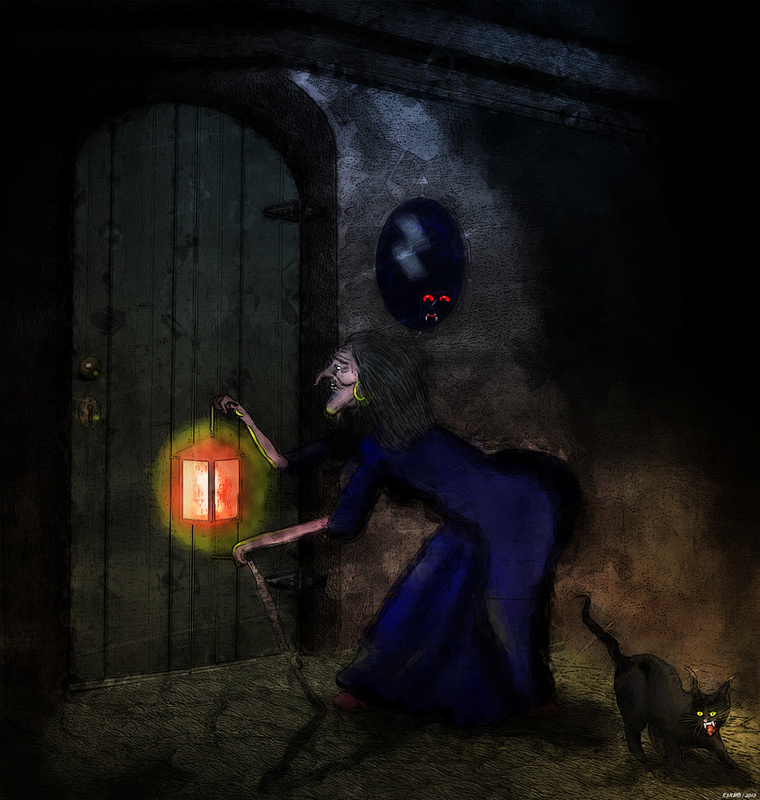 Love the cat especially, although the witch is really sinister as well. Fun mood. Yeah, I'll sleep with the lights on this noche. I do the same Kenmo, am out of inspiration right now. This is very good picture just right into the children's book. I like this a lot. Well done and thank you for sharing. Dark and spooky! I like it! Really neat Ken, love the theme and like all your work so well done. Not sure on the title maybe it should be " Things that go bump in the night"
A fun one - and a nice revisit.